Flowering scape rather stout, 1 to 2 feet high, with a few inconspicuous bracts, and at the base, spreading flat on the ground, two large orbicular or orbicular-elliptical, dark-green, shining leaves, silvery beneath, 4 to 8 inches in diameter. Flowers forming a loose raceme, each flower on a pedicel about one-half of an inch long, erect in fruit, greenish white; upper sepal short and rounded; lateral sepals spreading, falcate-ovate and blunt; one-third to one-half of an inch long; petals smaller and narrower; lip entire, oblong-linear, blunt, white, about one-half of an inch long; spur longer than the ovary, about 1 ½ to 2 inches long. In rich woods, Newfoundland to Minnesota, south to Pennsylvania. Flowering in June and July. 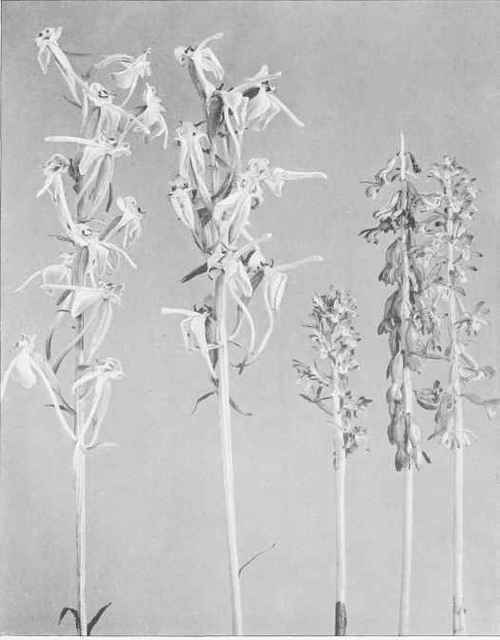 Plate 35 shows the flowers after they have begun to fade. The detail of the flowers is shown better in figure VIII. 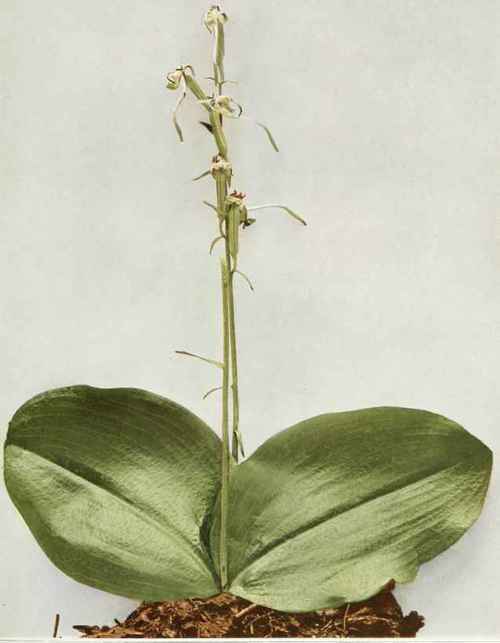 OakesAmes regards the loose-flowered form with long spurs as Habenaria macrophylla Goldie, and restricts Lysias orbiculata to the form with dense inflorescence and spurs 1 to 1 ¼ inches long.